Since I received the book Primitive Style, Folk-Art Quilts and Other Finery for review I have not stopped thinking about its beautiful projects and all the possibilities for making each one my own. The simplicity of the designs appeals to my crafty soul! 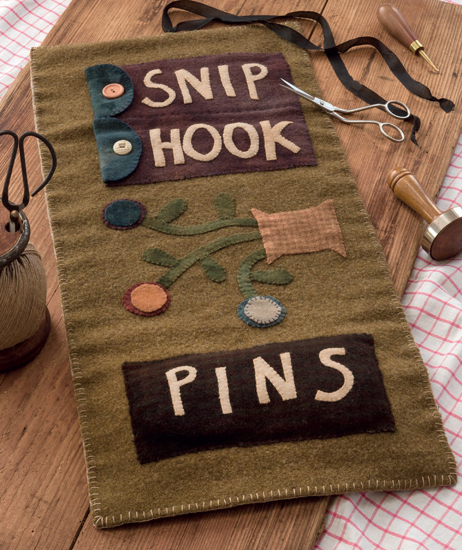 Jenifer Gaston, a resident of West Virginia and long-time quilt and rug-hooking pattern designer, delights us with a bounty of woolly creations, taking us back to times when the choice to use simple stitches was dictated more by the speed with which an item needed to be put to use than by a design decision. Jenifer walks us through what makes a design 'primitive', how to felt and fashion wool so it will look old, and helps us every step of the way with tips about stitching and finishing projects. Her quilt designs are just as beautiful, evoking history with traditional blocks and textured fabrics. 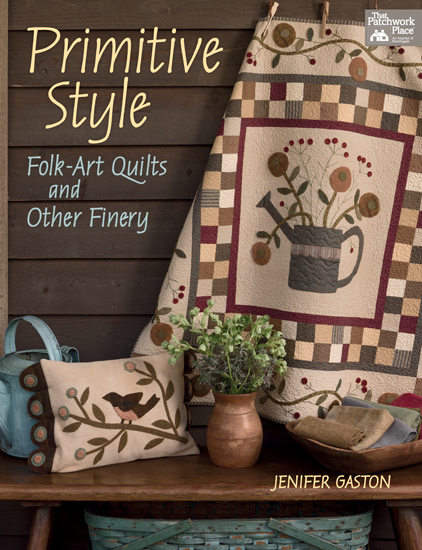 Primitive Style would be a perfect addition to your quilting library whether you already are a wool and primitive design lover or are just becoming one! And this is my plan as I enjoy the snowy weather we are having here in Utah: I am thinking a mini quilt with blocks and applique on the borders using some of her designs can be started and finished during this break. I am going to dig through my stash and start selecting fabrics and wool colors. In the meantime, I wish you and your family a Merry Christmas and a New Year filled with good health, success, and tons of fabric fun!